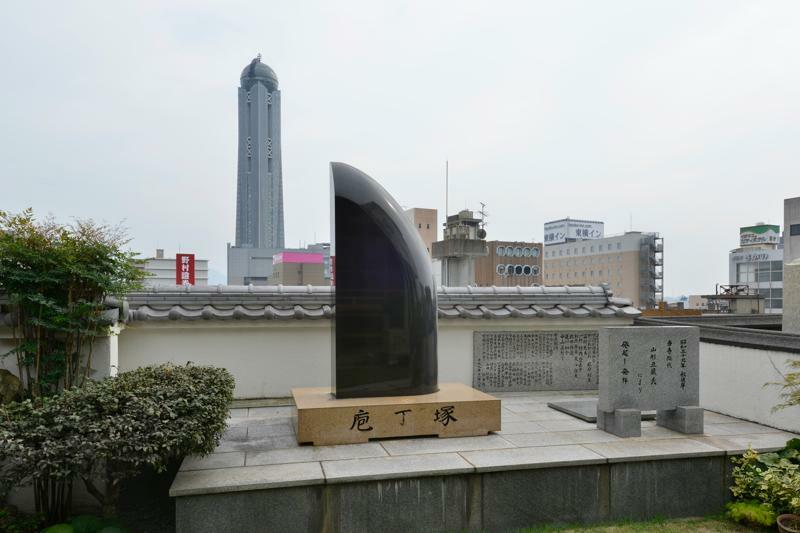 The area around JR Shimonoseki Station is one of the prefecture’s best shopping zones and is dotted with numerous historical sites from the Meiji Restoration as well as Kaikyo Yume Tower, the symbol of Shimonoseki. This area still retains its old appearance as the “gateway of the west,” a crossroads for people and things. 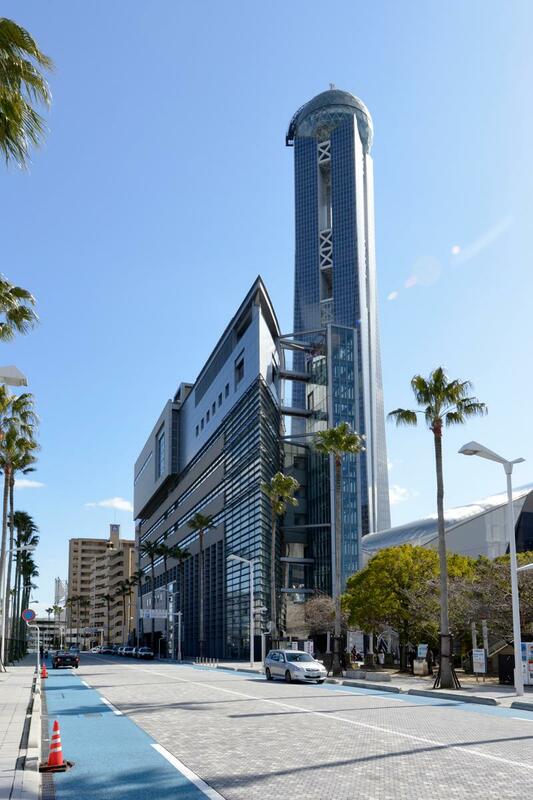 The see-through elevator ride lasts 70 seconds. 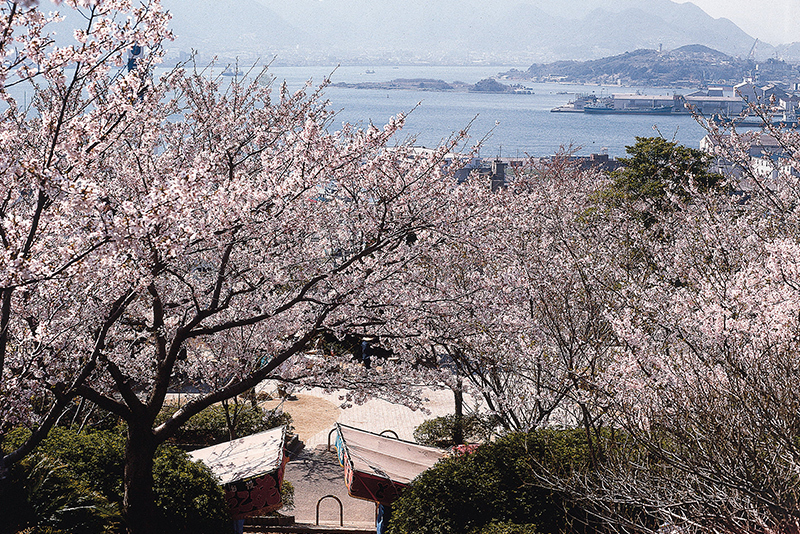 From a height of 143 meters, one of Japan’s highest observation decks, one can enjoy a 360-degree panoramic view of a landscape that includes Kanmon Strait, Ganryujima Island, Hibikinada, and the distant Kyushu coastline. The exterior illumination varies according to the day of the week and the season—a real must-see. 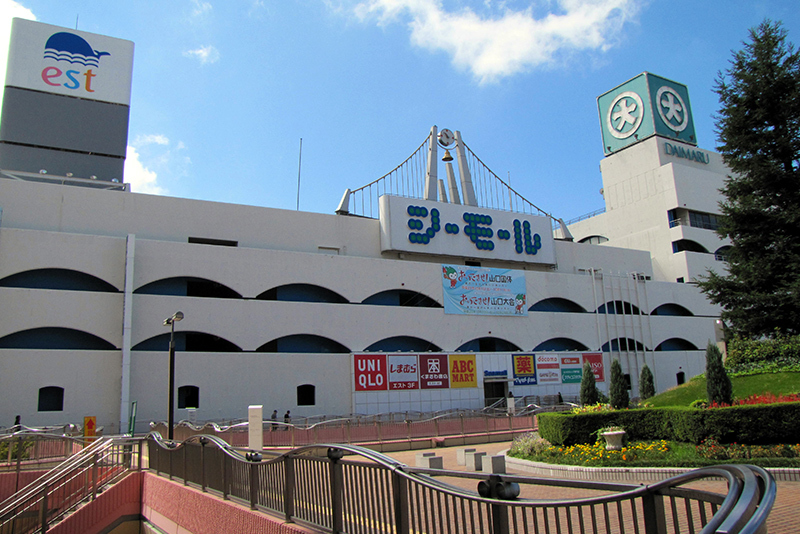 Next to JR Shimonoseki Station is Sea mall Shimonoseki—Yamaguchi Prefecture’s largest shopping center, home to Est, Shimonoseki Daimaru, and some 160 retail boutiques. 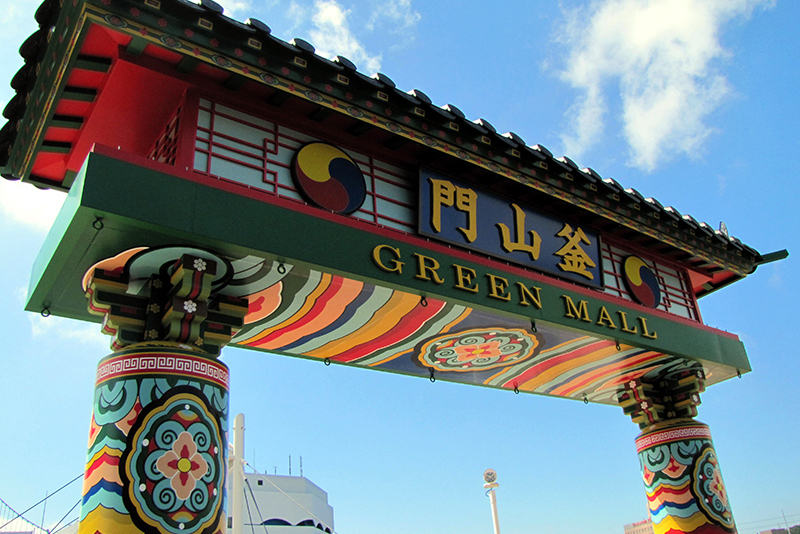 In addition to shopping and dining, the mall plays host to a variety of events. 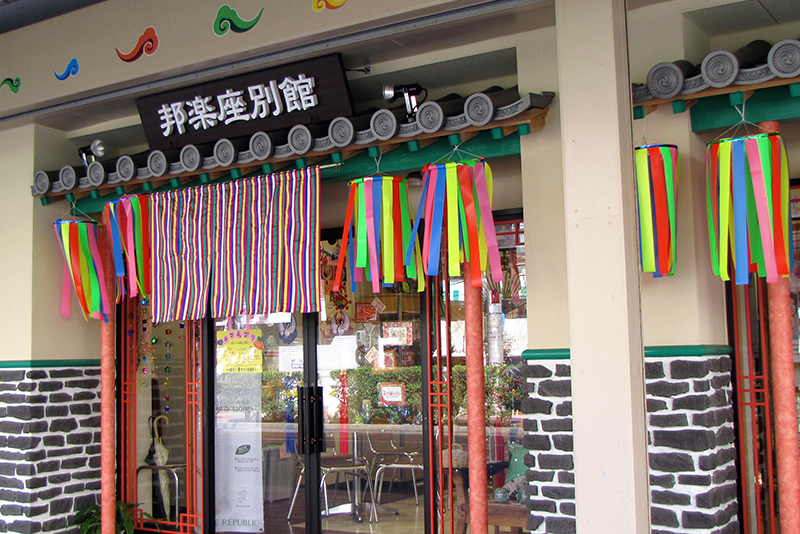 It is a shopping center inspired by the theme of urban development and community revitalization, and it is enduringly popular in the local community. 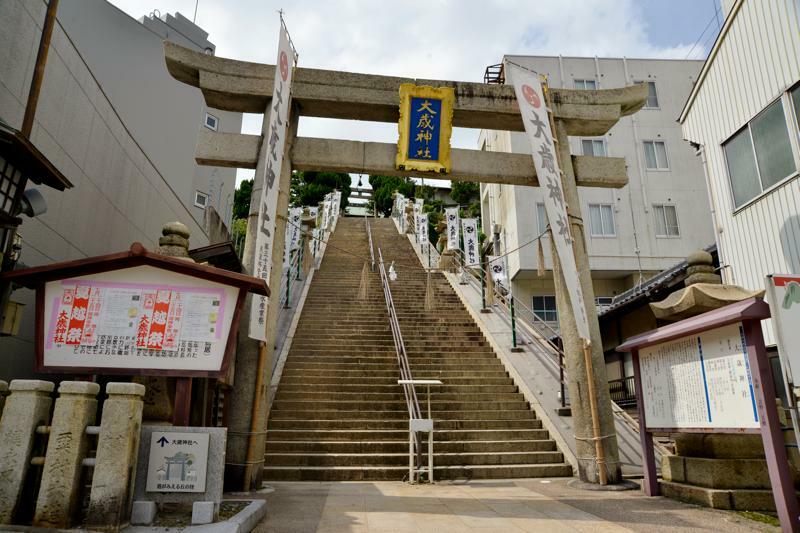 This large torii gate, which bears an inscription by Shiraishi Shoichiro, was built in 1862 to pray for victory for the exclusionist imperialist faction. 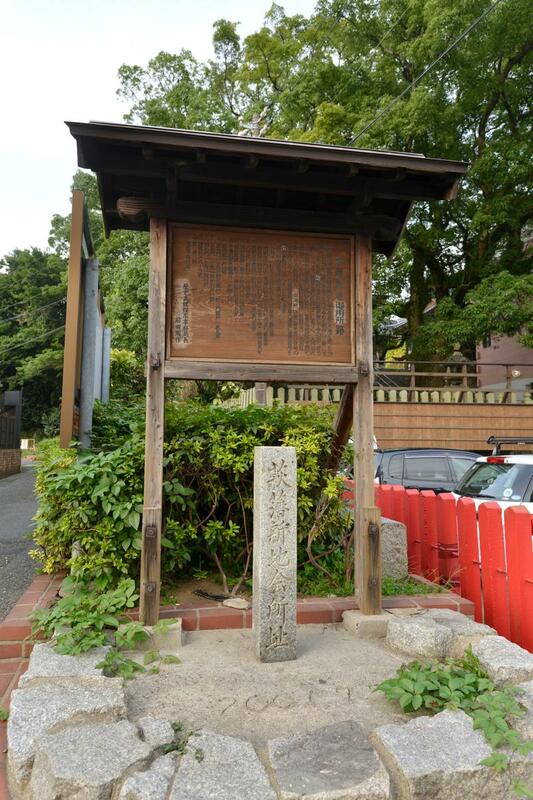 Historical remnants of the Meiji Restoration can also be found in the Seven Lords monument located within the shrine’s precincts. 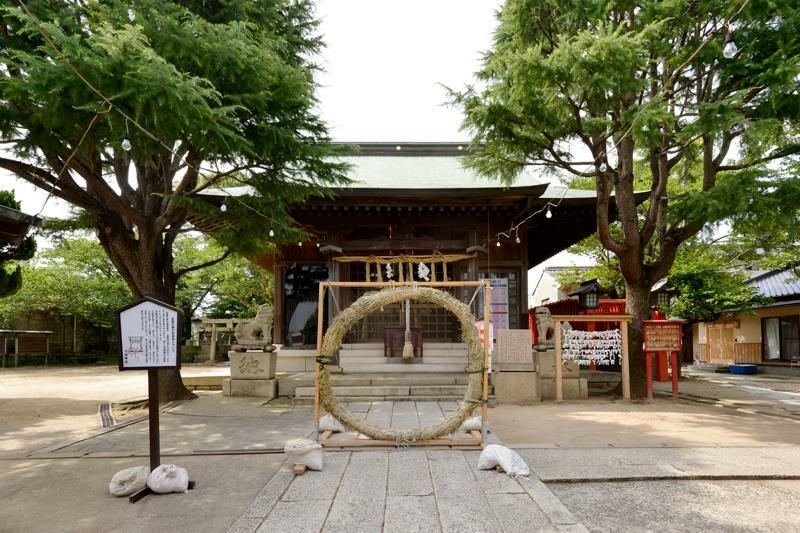 It is said that this shrine was built at the place where Minamoto no Yoshitsune prayed for victory. 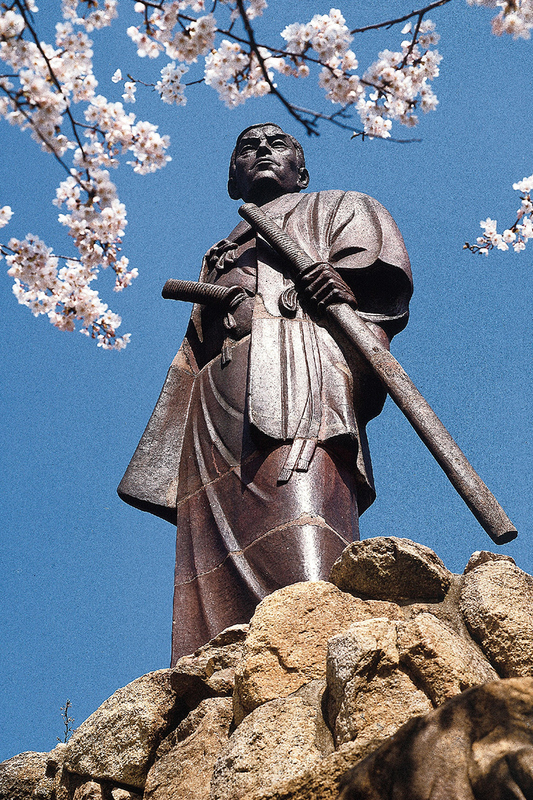 Shiraishi Shoichiro (1812–1880): Shiraishi was a merchant loyal to the Emperor who operated a wholesaling businesses and lent his personal support as a soldier to the Kiheitai militia with Takasugi Shinsaku. 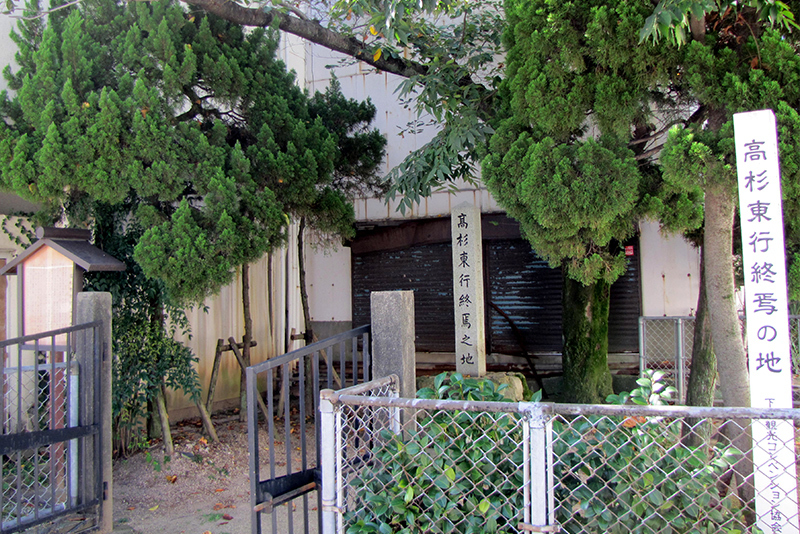 This is the “pantry” of the citizens of Shimonoseki. 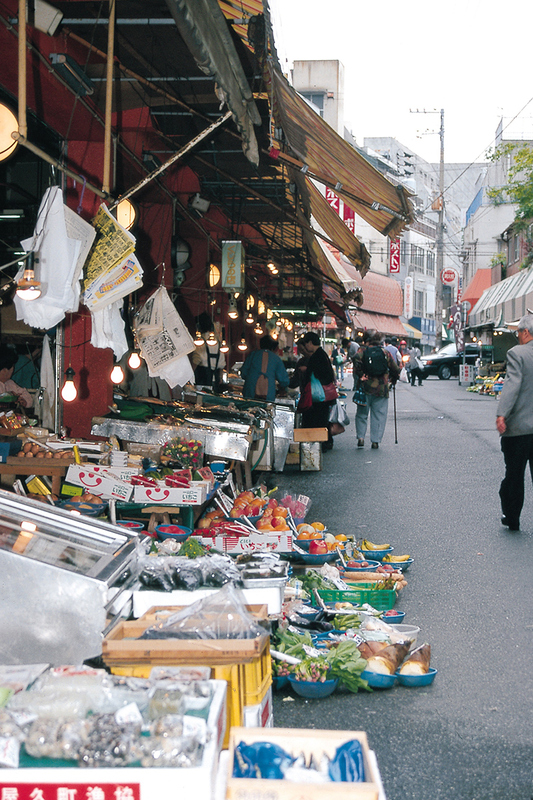 All manner of local foods can be found here, from Korean ingredients to whale meat, sea urchin, and parboiled shark as well as seafood and vegetables at low prices. Shiraishi Shoichiro, a wealthy merchant, made his fortune through his wholesaling business and lent both moral and financial support to Shinsaku and other patriots of the Meiji Restoration. The Kiheitai militia was formed at Shiraishi’s house on June 8, 1863. 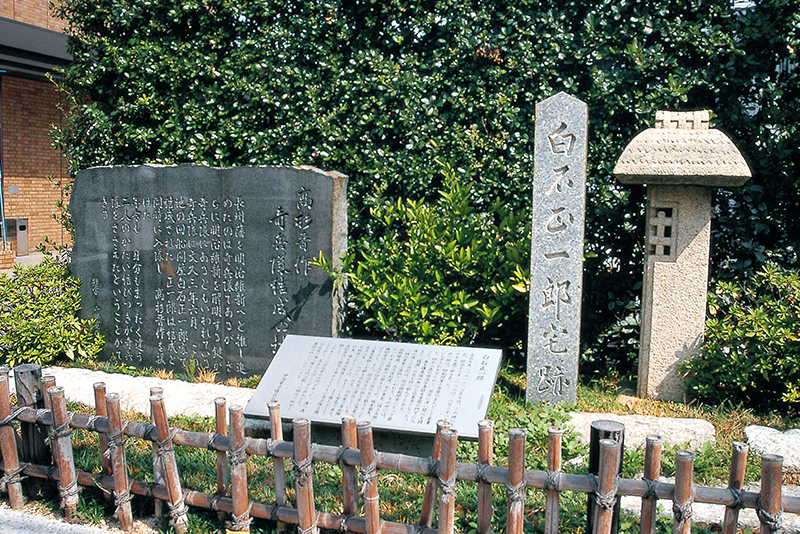 Takasugi Shinsaku and his troops, who were roused to action at Chofu Kozan-ji Temple, entrenched themselves at this temple after the Shinchi Kaisho attack. Sword wounds from that period can still be found on the pillars of the main sanctuary. 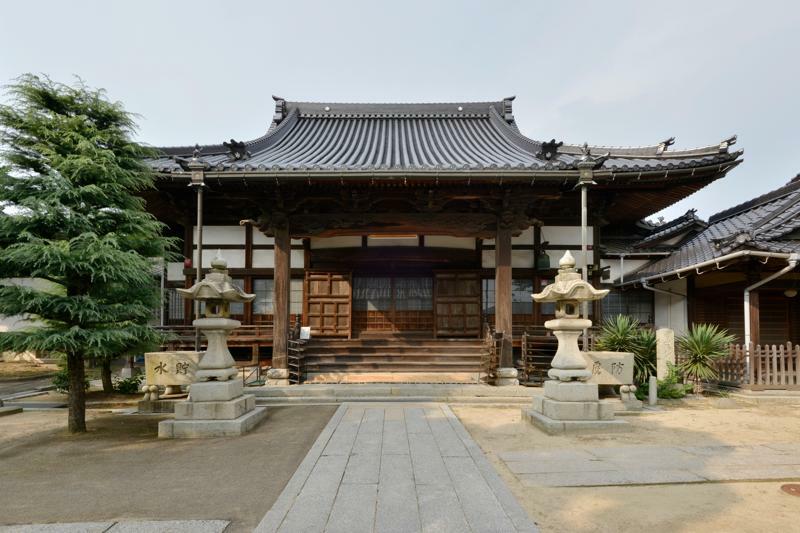 This shrine was constructed at the suggestion of Takasugi Shinsaku (in 1863) and was completed in 1865. 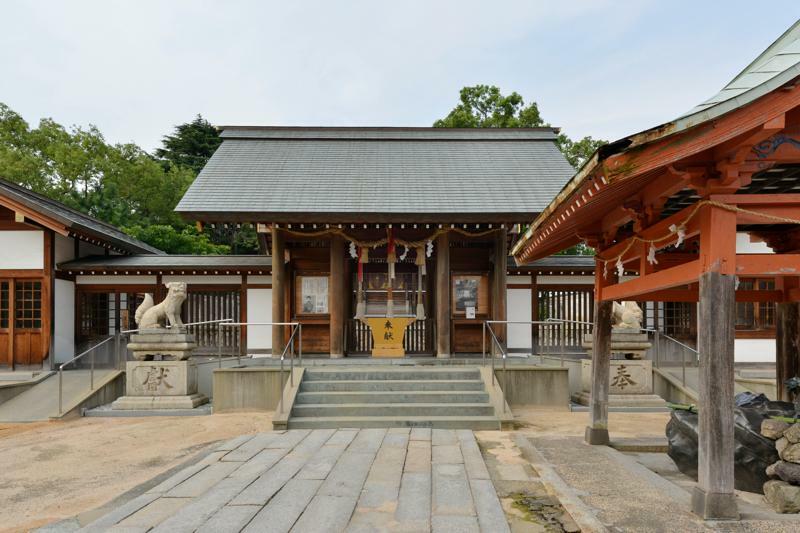 It was the first shrine built to pray for the spirits of the war dead in Japan, and some 400 patriots who fought for the Meiji Restoration are venerated here, including Yoshida Shoin. 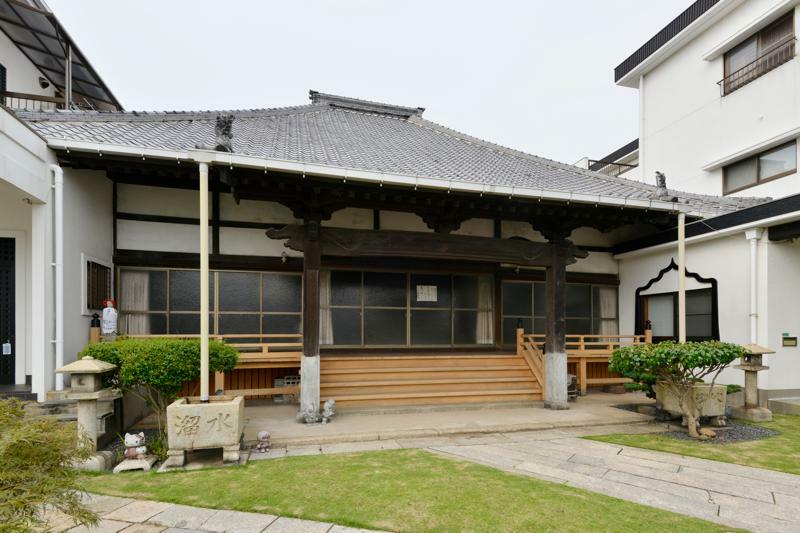 This branch office of the Hagimoto clan was occupied by Takasugi Shinsaku and his troops when they began to fight against the government (the conservatives). The Taira clan were permitted to split the guardian deity of Itsukushima Shrine in Aki Province for veneration aboard a ship. 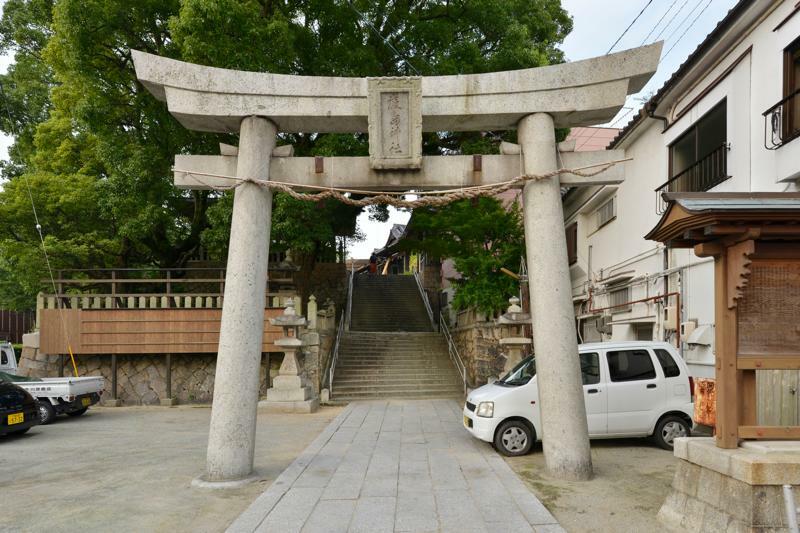 It is said that the shrine hall was built here along the seaside where the guardian deity drifted ashore after the battle of Dan-no-ura in 1185, at which time its veneration began. 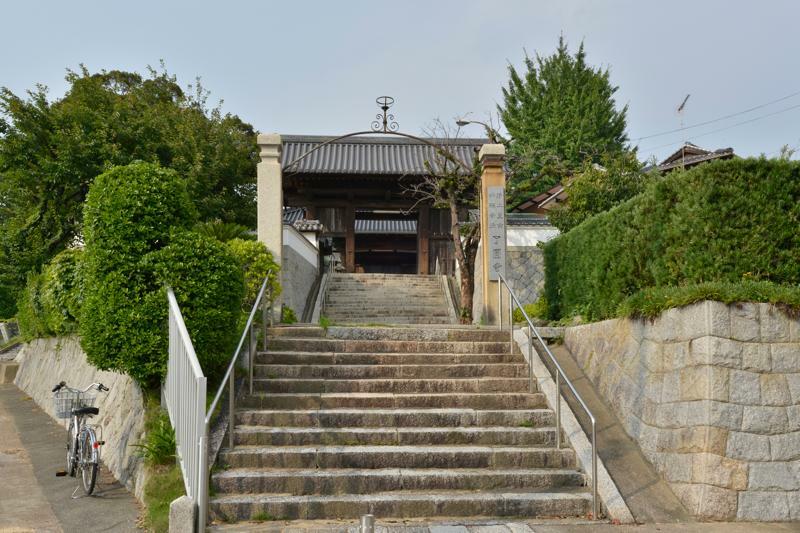 Spoils of war from the Ogura War of 1866 are stored within the shrine’s precincts—large drums brought by the Kiheitai from Ogura Castle. Takasugi Shinsaku, who commanded the battle from Oguraguchi while suffering from illness (tuberculosis), had his turbulent life cut short at the age of 27 years, eight months on April 14, 1867. 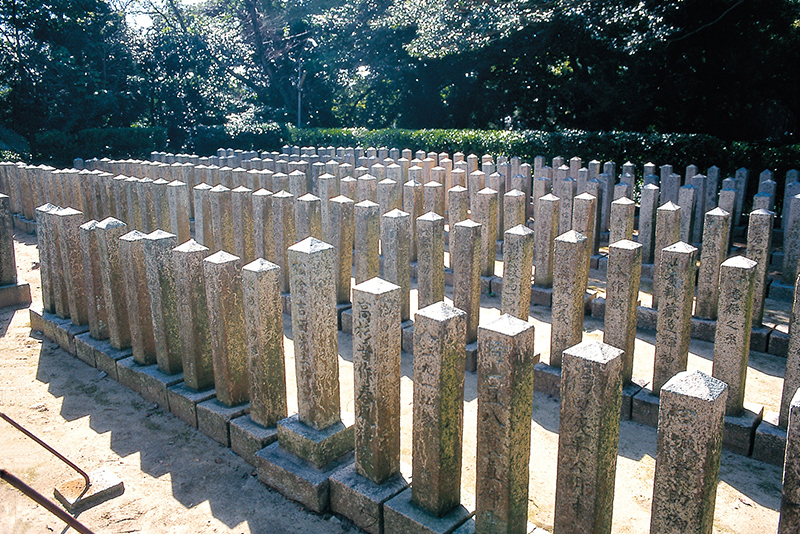 He was entrenched at Ryoen-ji Temple during the Shinchi Kaisho attack, but it got too cramped as his troops increased in number, so he moved his base of operation to this temple in Buzenda.